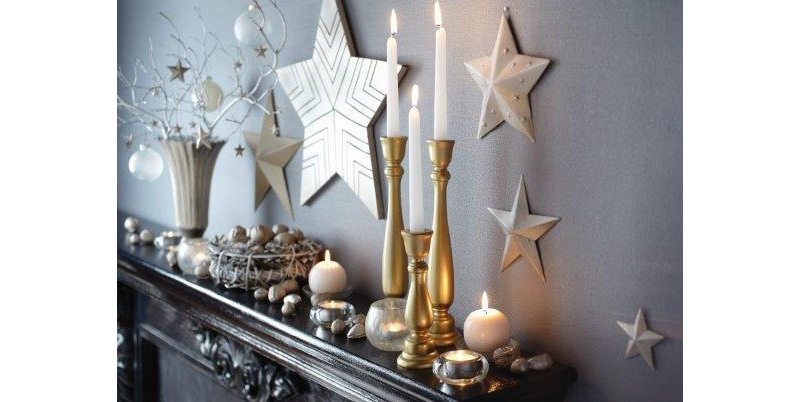 Turn a hodge podge of elements into a beautiful, glistening mantel display with Krylon spray paint. Wintery Wonder was designed by Kathleen George. Prepare your surface by making sure that all items are clean, grease free, and, if appropriate, lightly sanded. Unpainted wood and darker color items will benefit from a coat of Krylon® COLORmaxx™ White Primer (#5584).